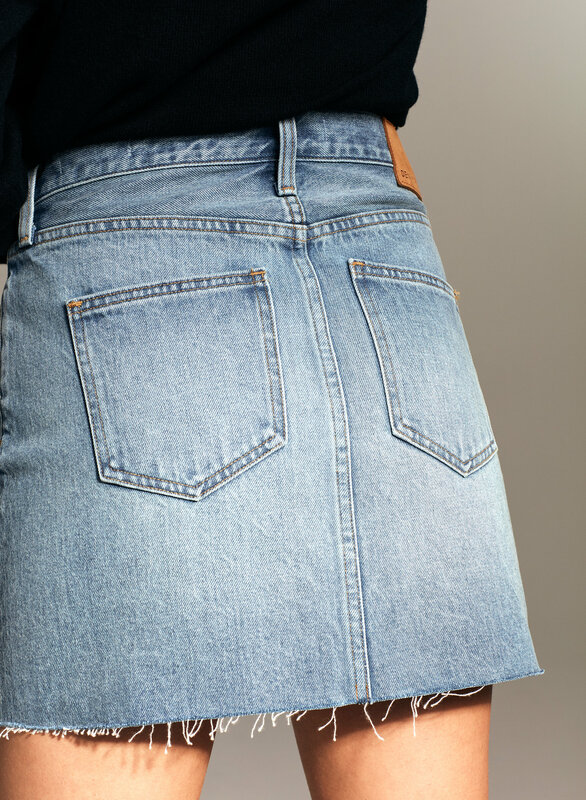 Inspired by pop-art icons, the Edie is Denim Forum’s signature mini. 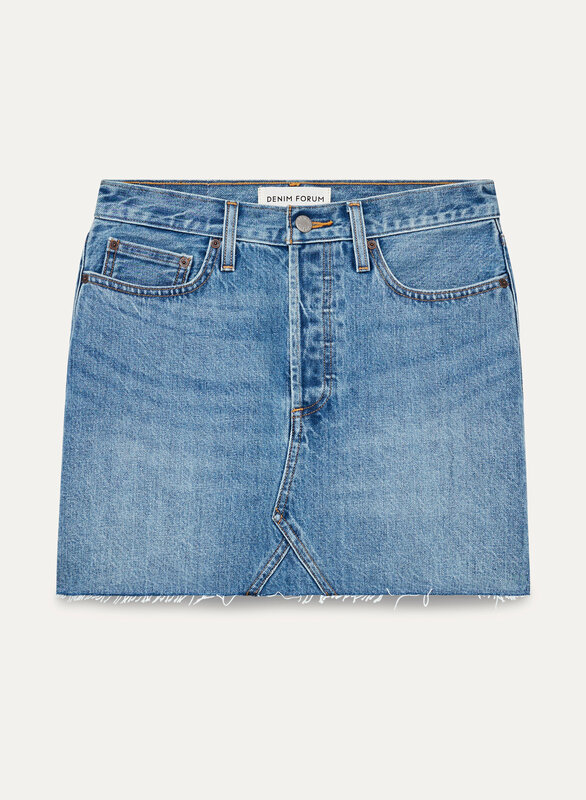 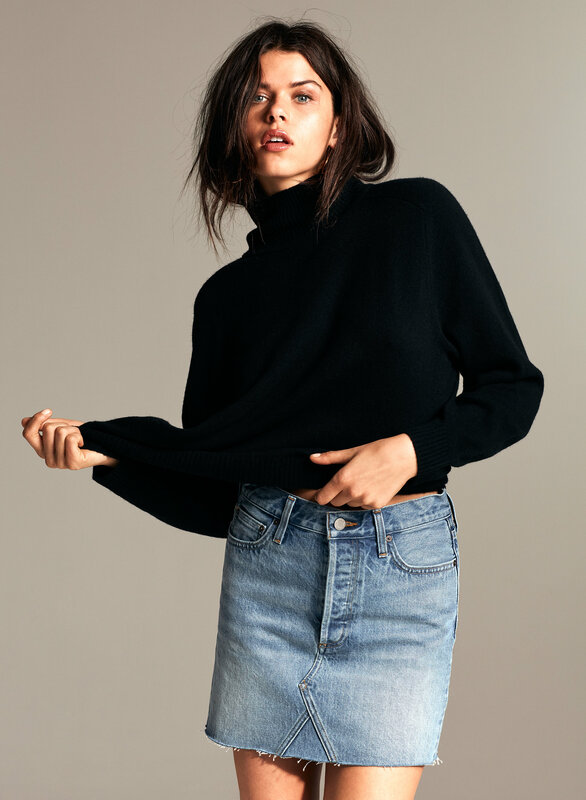 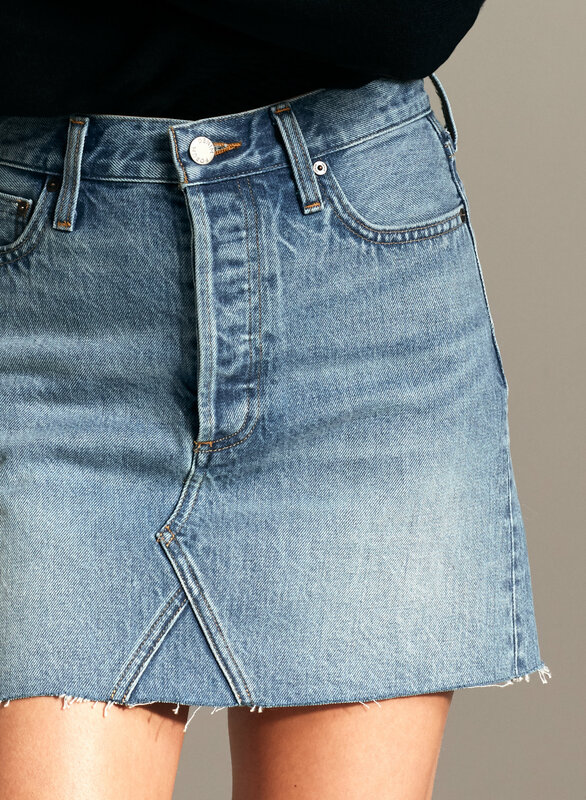 Slightly A-line with button fly and raw hem, it’s like you sewed your favourite jeans into a skirt. 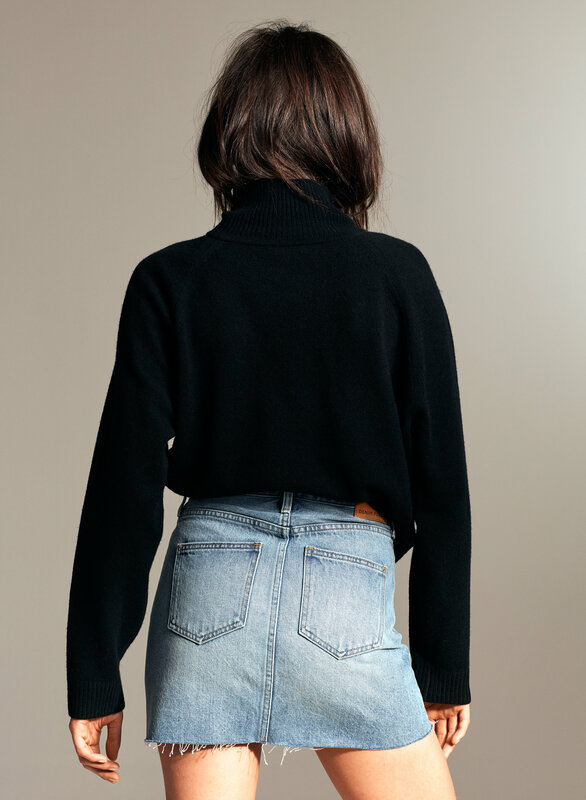 Premium Italian, organic-cotton denim has a vintage wash. Ready for your fifteen minutes of fame?